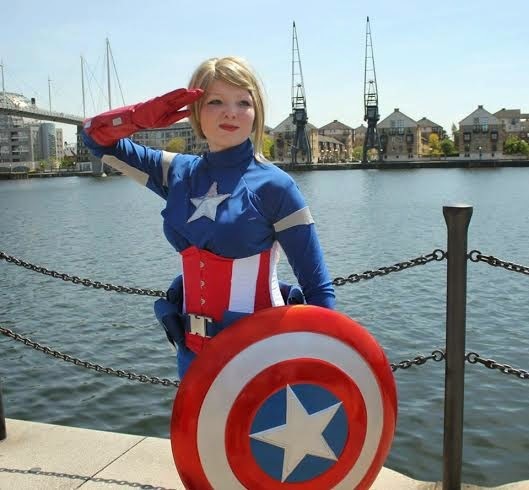 Today I'm very happy to share with you another Awesome Women interview, this time with the lovely Lucy Saxon the teenage author of YA fantasy, Take Back the Skies! 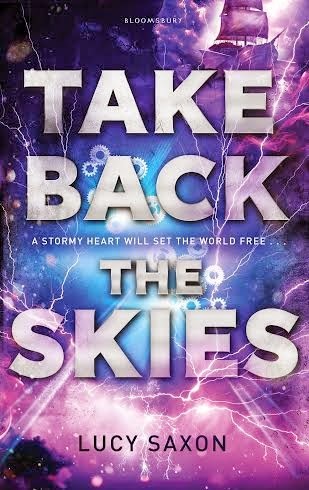 Take Back the Skies will be published by Bloomsbury on the 5th of June and I was really impressed with the world and political intrigue in this story. Definitely one to look out for. I’m 19, a huge sci-fi/fantasy fan, and when I’m not writing I’m dedicating far, far too much of my free time to making cosplays to wear at conventions. Seriously, it’s an addiction! I can’t really think of one particular person growing up that I thought ‘yes I want to be just like them’, but I had a lot of adults around me that I could look up to. And, of course, a slew of brilliant fictional characters to influence my childhood. Again, not one person in particular; I look up to a lot of different people for different things. But I really admire John Green, both for his writing and for the way he and Hank have managed to create such an awesome community online, and help so many people with that community. I wanted to be a vet for most of my childhood, actually! Once I’d outgrown the ‘I want to be a superhero’ phase. There were brief interludes, like palaeontologist (my brother was really into dinosaurs), three day eventing champion, and actress, but vet was the usual choice. It wasn’t until I was about thirteen/fourteen that I realised being a vet would involve watching the animals die sometimes, and then my dream ceased to be. 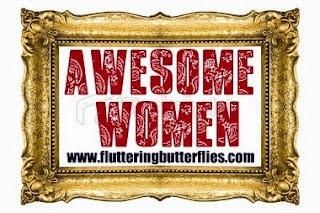 Tell me something about the women in your life who have been an influence on you? My mum has, obviously, been the main female influence on me. She was a nurse before she had kids, but stopped to raise my brother and me, so she was the one who took me to my many extra-curriculars and after-school events, put up with me being a horrible bratty monster, did all of those things parents do that kids take for granted, all without complaint. When I wanted to add more extra-curriculars to my week, Mum’s only response was ‘if there’s time for it, you can do it’, and I think that freedom right from a young age was great in allowing me to explore my interests without bias. I was allowed to choose football over ballet with no arguments, which is a choice a lot of little girls are denied. I don’t think I’ve ever really been lacking in female influences of all types – teachers, friends’ mothers, coaches – and I think I’ve been lucky in that, in having plenty of great examples of women to influence my life, and not one of them that I recall has ever told me I couldn’t do something because of my gender. Who is your favourite fictional character? And why? Oooh, that’s a tough one. My favourite fictional character tends to change depending on my mood and what I’ve read most recently, but I’m a big fan of Luna Lovegood. Luna is the kind of person who is completely comfortable in who she is, even though she’s considered weird by the people around her. She doesn’t change to please other people, or deny any part of herself to seem more normal, and I admire that. She gets underestimated a lot because of her ‘loopy’ attitude, but people always forget that she’s a Ravenclaw for a reason! Is there a fictional character that reminds you of you? And if you could choose to be best friends with a fictional character, who would it be? 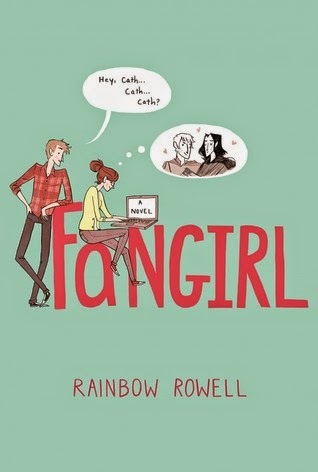 Going to be honest, the first thing that popped into my head for ‘character that reminds me of me’ is Cath from Fangirl. As much as I’d like to say someone cool like Tris Prior or Tessa Gray or someone… yeah, Cath. Though sadly my life is lacking a Levi! As for best friend, again, hard choice! I think being best friends with Remus Lupin would be very cool. I have a huge soft spot for Remus, and he needs more friends! Failing that, Celaena Sardothien from Throne of Glass. She’s a badass, and would be great to have as a best friend. I still am a teenager! Though, barely. My childhood had the added challenge of trying to manage Chronic Fatigue Syndrome, as I was diagnosed age 12. So I think a lot of the stereotypical teenage problems passed me by, and I had a whole other set of problems, like attempting to get into school more than once a week. I wouldn’t say I coped well with teenager-hood, so to be honest I think I’ll be glad to see the back of it! Which book would you say that every teenager should read and why? There isn’t really one singular book I think every teenager should read, but I think every teenager has at least one book or series that they’d really enjoy, but haven’t read because they’ve been told they won’t like it. Usually because they’re told it’s a ‘girl book’ or a ‘boy book’. So I think every teenager should ignore what people tell them and read that book, because they’re probably missing out on something great. And if they haven’t got a book like that? Maybe they should step out of their comfort zone a little and find one. If you had any advice for yourself as a teenager, what would you say? Drop out of school. I know, I know, terrible advice to give (sorry parents of teenagers reading this!). I definitely wouldn’t recommend it to other people, but in my situation I would have been far, far better off health-wise if I’d just called it quits on school and home-schooled for my GCSEs instead. I made myself really ill trying to keep up with my classmates, and that set me back a good three or four years of recovery time, so dropping out of school when I’d been offered the chance at 13 would have (probably) prevented all that. If you could choose to have a girly sleepover with any fictional characters, who would you choose? Ahh, so many to choose from! I think all of the female characters I’ve already mentioned; Luna, Cath, Tris, Tessa and Celaena. I’ll stop myself there, before the sleepover becomes a house party! Of the issues and concerns that women are faced with today, what's the area you most like reading/writing about? I really like writing/reading about women who break other peoples’ expectations, whether it’s through gender stereotyping or class stereotyping or whatever reason other people have preconceptions of a character. I like fictional women who prove that they aren’t actually a separate species from the male gender, and should be treated accordingly. But I do want to see more women who wholly embrace the feminine stereotype and still manage to be badass and hold their own. Where are my girls in killer heels and cute dresses, saving the world with perfectly symmetrical eyeliner wings? I think that’s one of the reasons I love Game of Thrones so much; the women in that are just as capable of destroying a king as the men, if not more so, but they do so in fancy clothes with a polite smile on their face, and the men continue to underestimate them. There need to be more examples of different kinds of female strength, which is something I’m really looking forward to writing in future. I think people need to be more open with their reading choices, and authors need to be more open with their writing choices. It’s very easy to fall into the trap of writing character types you know people will love, but the more they get written the more likely they are to turn into tropes. I’m not saying don’t ever write them – I’m as guilty of it as anyone else, and sometimes those character types just fit the situation – but if the situation arises, don’t be afraid to bring in some more diversity. People can’t read about diverse characters if no one’s writing them! Thank you so much for that, Lucy! To be in with a chance of winning a signed copy of Take Back the Skies by Lucy Saxon just leave a comment below with either a Twitter ID or email address. UK only.